Referred to as the “Lily of the Desert,” the Aloe plant grows in arid desert areas throughout the year. Its thick green leaves envelop the transparent gel. This plant has the unique ability to retain water, enabling it to survive in dry climates. Aloe contains health-promoting components, such as vitamins, minerals, enzymes and essential Amino Acids, and protects the skin from dryness. Due to its cooling and soothing properties, it is ideal for topical use after sun exposure. Commonly referred to as Sunflower Oil, this light-colored oil, native to Eastern Europe, the Mediterranean region and North and Central America, comes from the seeds of the Sunflower plant. 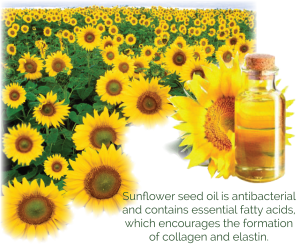 The oil provides a rich source of unsaturated linoleic and oleic fatty acids and Vitamin E. Sunflower Seed Oil is soothing and calming to the skin. This three-fold alcohol found in every fat is produced through the saponification of vegetable oil. It is used to regulate the absorption and release of the water in the skin, creating a moisture balance and helping to soften and smooth the skin. This emulsifying agent helps give a formula a smooth consistency for easy application. 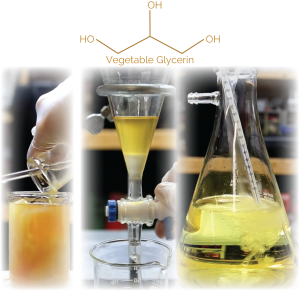 We use Glycerin derived from non-GMO rapeseed oil grown in Europe. 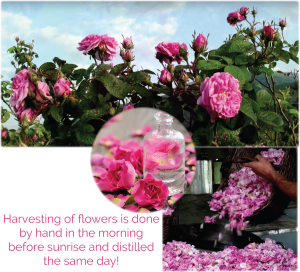 This fragrant, pink-flowering plant yields Rose petals that provide the precious Rose essential oil, regarded to be more precious than gold. Rose Oil consists of over 400 components of essential oils, not all of which have been identified to date. In Greek mythology Roses are associated with the love goddess, Venus, as well as a symbol for resurrection. Romans associated roses with romance and happiness, crowning marital partners with rose wreaths and scattering them at the feet of heroes. 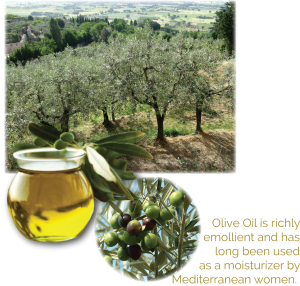 This prized oil possesses harmonizing aroma therapeutic properties, promoting inner relaxation, balance, and sleep. It is also one of the most beneficial and skin-friendly natural essential oils. Rose Oil is also known for its healing and antiseptic properties. 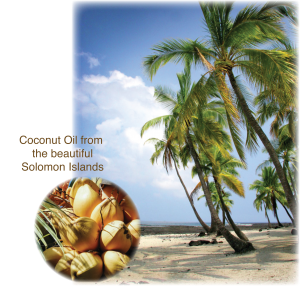 Pure Coconut Oil melts on the skin and generates a cooling effect. It wraps a protective layer around the skin, which maintains the skin's moisture, nourishes delicate skin and protects it from dryness. The coconut’s oil characteristic smell gives even un-fragranced body care products a pleasant aroma. 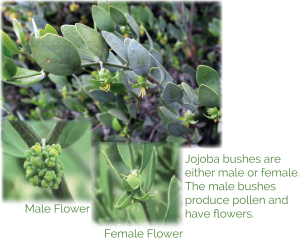 Commonly referred to as the Jojoba plant, this evergreen shrub bears olive-shaped fruits and grows wild in arid environments, such as Arizona-Mexico and South America. 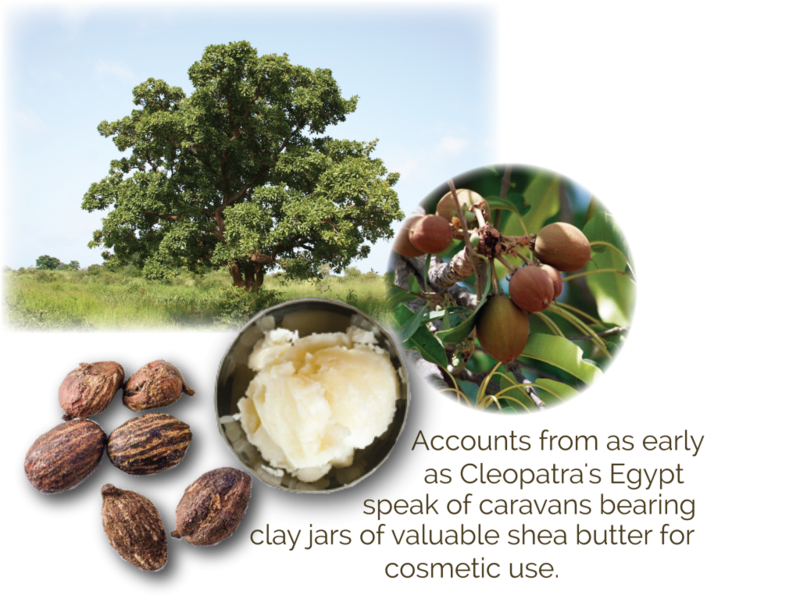 Jojoba Oil is derived from the seeds (beans) within the fruits. This oil, classified as a wax, is easily absorbed by the skin and is especially beneficial in treating inflamed and irritated skin conditions. Hand harvested from the cleanest ocean waters. 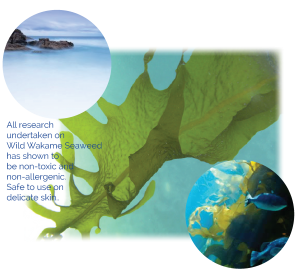 Fermented Seaweed infused with pure ingredients gently renews and restores skin. Wakame Seaweed is particularly effective at increasing the expression of wound-healing genes. This ingredient has been specifically modified to enhance skin penetration. Protects the skin’s building blocks and enhances dermal condition by reducing wrinkle depth, roughness, and increasing skin elasticity. Soothes skin by decreasing redness and increasing moisture. Organic-certified and provides an unrivaled combination of soothing and protecting.